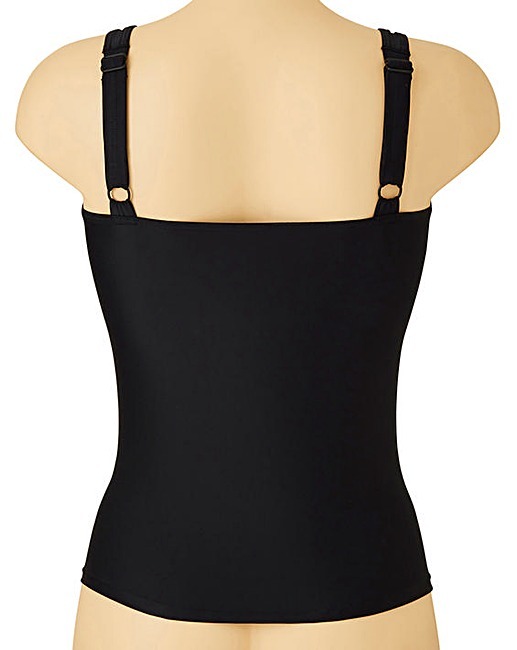 Black Tankini Top is rated 3.6 out of 5 by 7. Beach to Beach tankini top, offering fixed foam cups and a light bust shelf for support. Rated 3 out of 5 by megzy_89 from good if proper size! 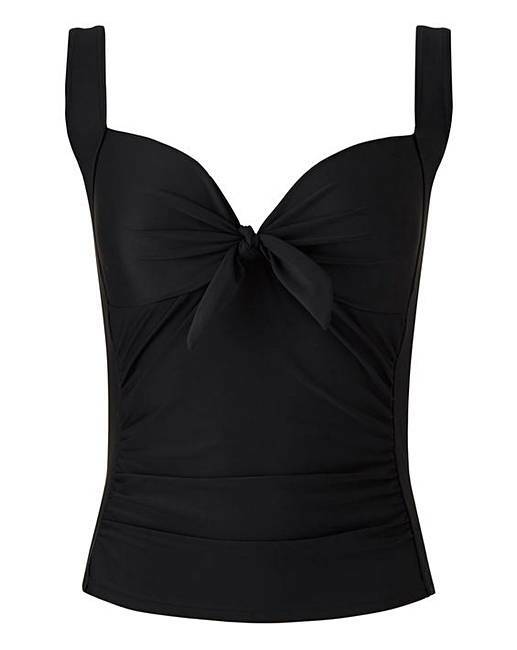 i ordered a royal blue colour and the black one, brilliant style and very good if you have a big bust BUT i always have to order 2 sizes bigger than what i am for any swimwear...the blue one is perfect fit but the black one was tighter and the straps don't sit properly on the shoulders they constantly fall down as if they are too far across, the blue one is fine though! maybe i just got a dodgy one ! but other than that they are great and comfy too! i just pair them with a black swim skirt.